Praise God for the beauty in the world! Maureen Pratt is a popular speaker, the award-winning, bestselling author of 7 books and a nationally syndicated columnist for Catholic News Service. Her magazine articles have appeared in faith-based publications, including "Journey for Women Magazine," "Guideposts," The UpperRoom Magazine," and "Saint Anthony Messenger Magazine," as well as "Lupus Now," and "Arthritis Today Magazine." As a journalist, she has covered sports, health and medicine, and was a credentialed member of the press corps during Pope Francis' historic trip to the United States in 2015. She is a two-time, second place Catholic Press Award recipient, most recently for her article, "Junipero Serra: Saint or Scoundrel?" published in Saint Anthony Messenger Magazine. A professional vocalist and musician, Maureen led an adult, African-American, Catholic gospel choir in South Los Angeles for 13 years and served as the cantor at Catholic services at Fort Myer Army Base (now Myer-Henderson Hall) in Arlington, Virginia. After earning her Bachelor of Science in Languages degree at Georgetown University in Washington, D.C., Maureen moved to Los Angeles, where she earned her Master of Fine Arts in UCLA's School of Theater, Film, and Television. She began to write scripts, and her plays won several awards. She fully expected to be writing in the heart of Hollywood, but God had other plans. From childhood, Maureen had suffered serious illnesses and chronic pain. But it was a life-threatening, disabling diagnosis of lupus that was the catalyst to turn her life and her writing in an entirely different direction. She first penned two health-based books to assist other patients in coping with difficult diagnoses. "Taking Charge of Lupus: How to Manage the Disease and Make the Most of Your Life" (New American Library/Penguin Random House) and "The First Year: Hypothyroidism" (Perseus/Marlowe & Company). Then, from her deep faith and reliance on God, Maureen began to write about the necessity of cultivating the spirit while living with serious illness. These efforts resulted in more books including the beloved devotional, "Peace in the Storm: Meditations on Chronic Pain and Illness" (Image/Penguin Random House); "Beyond Pain: Job, Jesus, and Joy" (Twenty-Third Publications), and "Don't Panic! : How to Keep Going When the Going Gets Tough" (Franciscan Media). 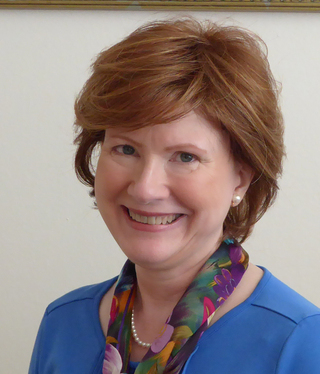 Maureen has presented workshops and in-service seminars for medical professionals, religious education instructors, patients, businesses, parishes, and patient advocacy organizations throughout the United States and in Canada. She is currently working on a resource for church communities that wish to better understand and welcome into the "family" the faithful with special needs. Although she still lives with multiple debilitating illnesses, Maureen continues to find much joy in her life and work and inspiration from those who are also living with serious challenges. An avid gardener previous to her diagnosis of lupus, she exercises her green thumb indoors, raising African violets and other related gesneriads, and she enjoys reading and sharing healthful recipes with friends. Throughout all of her endeavors, her intent is simple: To show and encourage others that no matter how hard the crisis or sharp the pain, God loves each of us, we need not fear, and we should, most especially, never give up! The seeds that we plant today might very well turn into beautifully full flowers - quicker and more grace-fully than we ever imagined!